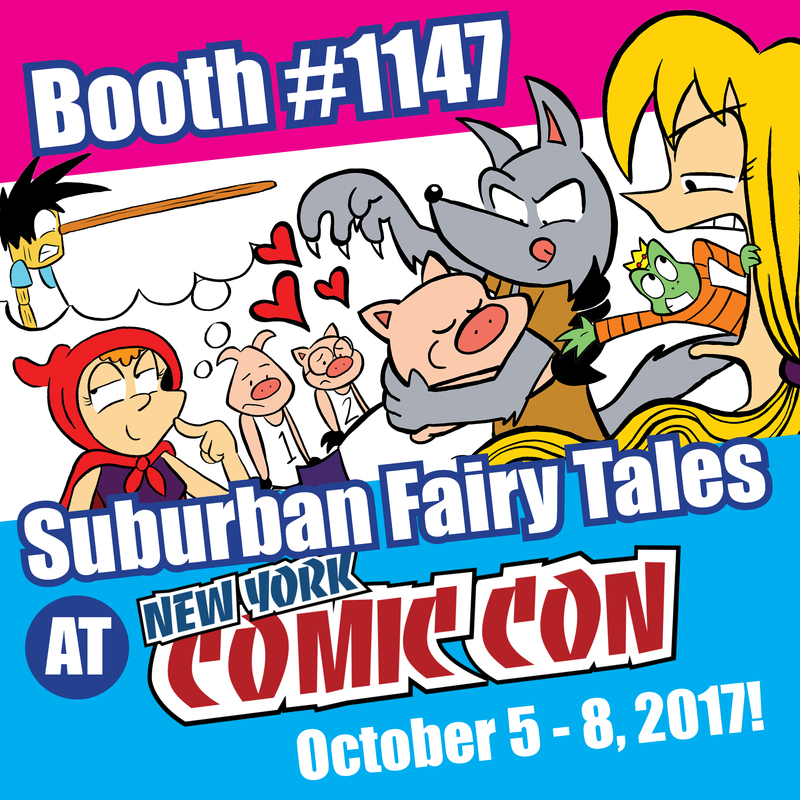 Suburban Fairy Tales will be at New York Comic Con October 5 – 8, 2017! There will be plenty of convention exclusives available at the show including a custom little piggy plush, original artwork, poster prints, and a special edition of the latest book, Hogs and Kisses. 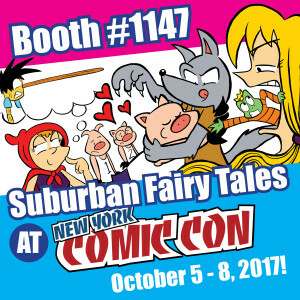 I’m also giving away a FREE Suburban Fairy Tales button to the first 25 people who purchase something at the table. More updates will be coming as we get closer to the convention. 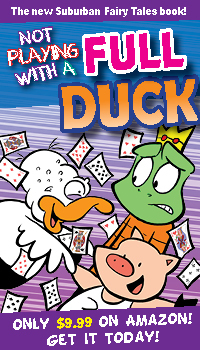 Follow me on Facebook, Twitter, and Instagram to get the latest!